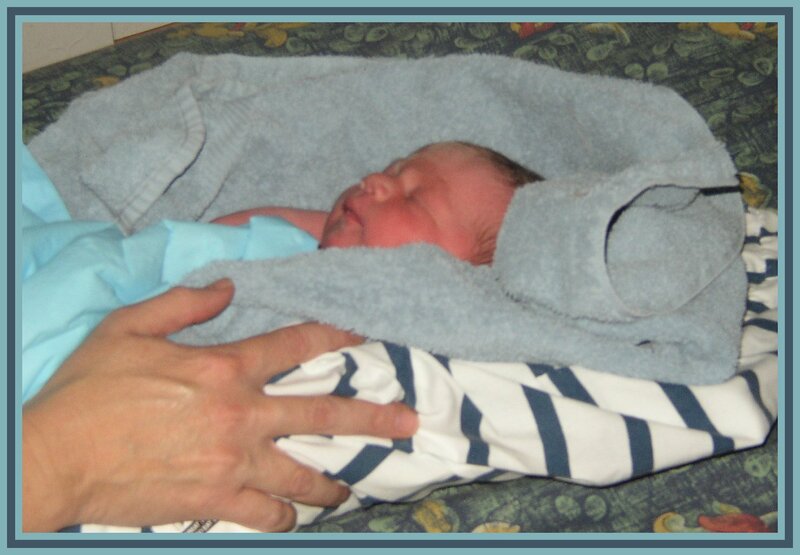 These are pics of Erin, the midwife who delivered Ezekiel, checking him out before we took him home. Grammy, my mother in burgundy top, watching over Ezekiel as Erin checks him out. Cindi and Erin, the midwives who attended Zeke's birth, weighing him.